You are being taken to jail and you just have enough power left in your phone to send one message (text, Tweet, or Facebook post): what would it be? You only have a few more minutes to live; write your final diary entry. On the last day of class, I asked my students why they had almost all begun their teaching lessons with a writing prompt and we had a wonderful discussion about the fact that the life writing genres we were reading (specifically diaries and letters) were ones they didn’t necessarily feel familiar with, or confident about analyzing as literary texts. So, being given the opportunity to practice writing in the form or voice of a diarist or letter writer helped to bring them into the genre in a new and useful way. A page from Thomas Edison’s diary (1885). In the past, I have hesitated to assign self-reflective writing because I lacked confidence about a) how to teach a self-reflective writing process and b) how to grade self-reflective writing. My training has only prepared me to teach and evaluate analytical student writing; branching out beyond that makes me nervous. But, I am committed to rectifying this, in large part because my students have taught me that if I am going to continue to teach self-reflective writing in my classes (which I am), I need to use self-reflective writing practices to do so. Next semester I am implementing two new assignments: The first is what I am calling “Friday Morning Reflections.” I have a MWF schedule and I plan that every Friday morning class will start with an in-class writing assignment (ungraded, maybe even not taken up) that asks students to reflect on a question, topic, or problem from the class material. These will (hopefully, if I do my backwards design well) ultimately feed into later writing assignments including my second new assignment: A gender memoir. I’m teaching the Introduction to Women’s & Gender Studies and my students will be asked to use their “Friday Reflections” as the seeds for a gender memoir that they will write at the end of the semester, (hopefully) after having gained new insight into themselves as gendered subjects. We’ll see how these assignments go, but I am interested in reflective writing as a pedagogical tool, not just as a subject matter or literary form worthy of recovery and analysis. Anne Frank’s diary is arguably the best-known, most-widely-read diary in the world. I suspect that for many readers Frank’s diary is an introduction to the form, perhaps an inspiration for writing their own diaries. From Frank’s diary, they would learn about dailiness, about the letter-diary hybrid, and, of course, about the powerful combination of ordinariness and pathos. Frank’s Diary has been in the news recently because of two intertwined controversies: the question of whether or not her father, Otto Frank, can legitimately be considered co-author of the Diary; and the question of whether or not the copyright on the Diary has expired, allowing the text to enter the public domain. While the debate may be new to Frank Studies, this is a question commonly confronted by literary critics, particularly around texts in which an editor/amanuensis possessed greater power or social status than the author/subject. In my Life Writing classes last semester, we studied the Memoirs of Elleanor Eldridge (1838), which precisely exhibits these conditions: authored by a white woman, Frances H. Whipple, the memoir recounts the life of a mixed race (indigenous, African American) woman, Eldridge, who appears to have been illiterate. The contemporary editor of this recovered text, Joycelyn Moody, makes the provocative claim that Whipple and Eldridge should be considered co-authors, thereby upsetting the expected characterization of the (white, powerful) editor stealing and suppressing the voice of the (non-white, disempowered) subject (which is how texts of this kind have often been interpreted by literary critics). My students and I struggled with this characterization — we had many productive but unresolved conversations about what it would mean to consider these two women co-authors, what the implications were for the definition of authorship, whether or not Eldridge could be considered to be “speaking” through the text, etc. These discussions have been on my mind as I’ve been reading about the Otto Frank issue: What does it mean to view Otto as Anne’s co-author? There are similar issues regarding power and authority: Otto is male, adult, and living; Anne is female, young, and deceased; obviously, she does not have the ability to control or craft her text. To move Otto from editor to co-author appears to reinforce this power dynamic, to further Anne’s marginalization within or through her own life writing. It also calls into question the accuracy and legitimacy of the text itself — a question that always hovers around published diaries, but one that is particularly exacerbated when an editor (or co-author?) has played a role in bringing the text to the public view. The claim that Otto is co-author is made by the Swiss foundation, Anne Frank Fonds — a fact steeped in irony. You would think that the Fonds would have the strongest stake in affirming the authenticity of Frank’s Diary, which appears to be eroded by the “co-authorship” claim. Yet, the Fonds also has a strong financial interest in extending the copyright of Frank’s book. According to European law, copyright expires 70 years after the death of the author. As a result, Frank’s Diary should enter the pubic domain on January 1, 2016. But, if Otto is a co-author, the copyright would be extended until 2050. Hence the counter-claim, the lawsuits, and the controversy. As I understand it, the co-authorship claim did not prevent several Dutch editions of Frank’s Diary from being posted on the internet on January 1, 2016. English (and other language) editions remain copyrighted according to the date of their translation and publication. It’s the interpretive questions that this debate raise that interest me: If a diary is edited after the diarist’s death, under what circumstances can/should the editor be considered a co-author? And, if the diary is considered co-authored, is it still a diary? 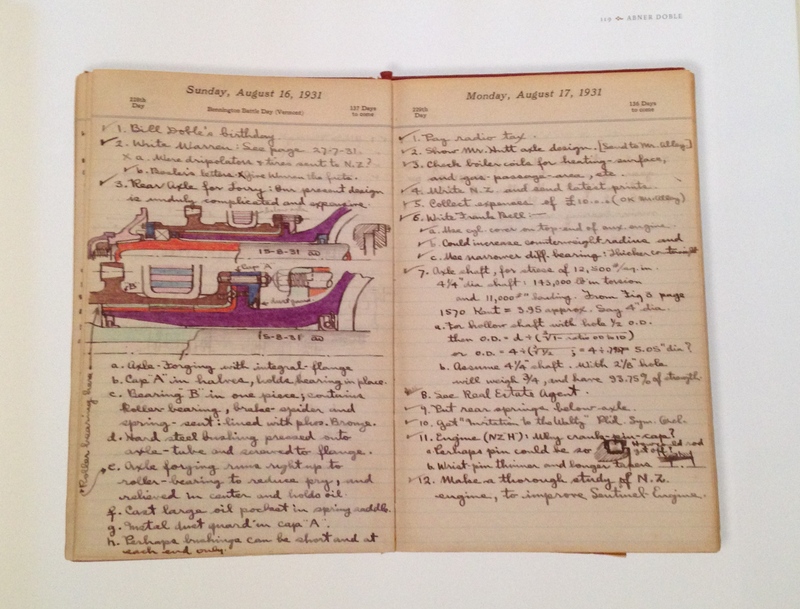 Does it still possess the status of truthful authenticity that diaries are expected to have? Extending these questions from Frank’s Diary to other published diaries is, I think, a necessary step for those of us interested in the past and future of the diary genre. 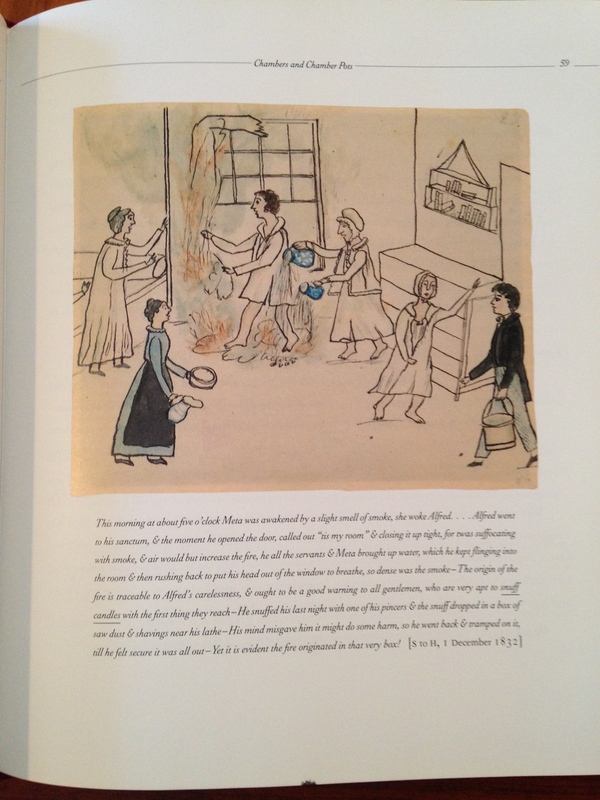 What my student’s didn’t know when they undertook this exercise is that there are several other Twitter accounts set up to reproduce historical diaries. I’ve written before about @TrapperBud, which was publishing Bud Murphy’s diary account of his gold rush experiences, and has now moved on to Matt Murphy’s diaries, dated from the 1920s. I am sure there are more, but these are the ones I’ve run across. So, what are we to conclude from these Twitter accounts? Obviously, they do precisely what my students intended @annieraysdiary to do: they show that diaries and Twitter are closely aligned in form and content, essentially that Twitter can be considered a modern incarnation of the diary. Of course, they also show the differences, because more “literary” diaries with long reflective entries are not easily adaptable to Twitter. Rather, we see that one kind of diary (the “ordinary” kind, to use Sinor’s terminology) is being carried into the present through Twitter technology. Also, these Twitter accounts have a particularly playful quality because they invite the reader into the pretense that the historical diarist is tweeting her/his experiences directly. I think this makes the Twitter/historical diary mash-up unique. (There may be Facebook accounts written from the perspective of historical figures? I’m not on Facebook so I cannot verify this, and a little lite googling didn’t lead me anywhere.) As my students noted, there is something wonderful about imagining a historical figure like Annie Ray taking up her smart phone to record her life, just as so many of us do today. I have been terribly remiss in posting new stories to this blog. Ironically, my radio silence is due to the fact that I have been busy teaching — and this semester my teaching is strongly centered around diaries. 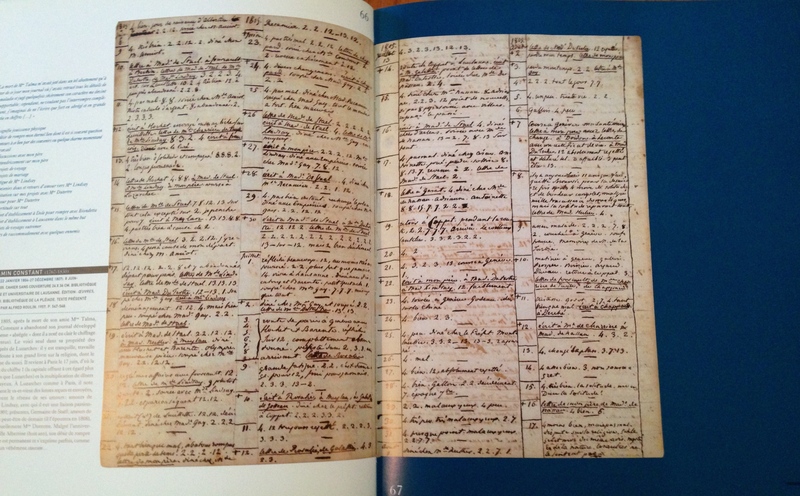 My students have been reading diaries, diary fiction, and diary criticism — and they’ve been using the digitized diary index on this blog to do their own original research on manuscript diaries. So, I’ve been thinking a great deal about diaries and about the teaching of diaries … but that doesn’t leave me much time to write here. I hope to rectify that — I’ve got a list of diary-related stories that have come across my desk the past few weeks that I am eager to post — but, let’s face it, every semester has the habit of chewing me up and spitting me out, and this one is no different. That’s the attraction of a diary. It remains in its own time. It reflects only what happened on that particular day. It doesn’t flatter and it isn’t influenced by what happened later. In that way it’s the most truthful record of real life, and that’s why I’m so glad I persevered with it – writing an entry most mornings right up to today. 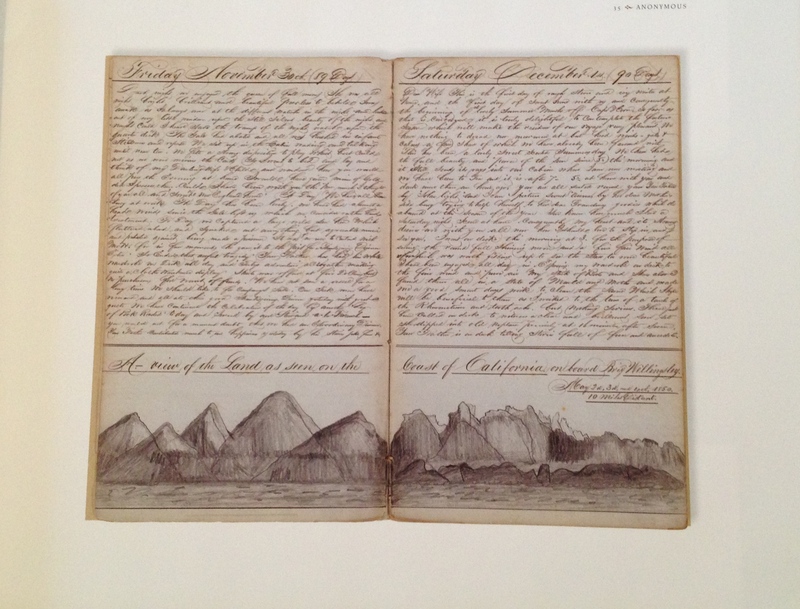 The article describes one of his idiosyncratic diary-writing habits, which is to write the diary on one side of each page, and then turn the diary upside down and continue the diary on the back side of each page. I love details like that, that demonstrate the crazy inventiveness of diary writers. I wasn’t aware that Palin was a diarist — or that he has published several volumes of his early diaries already. Now, he’s embarking on the The Thirty Years Tour, a one-man autobiographical performance in which Palin reflects on his famously accomplished career. As a result of the key role that the diaries play in this project, Palin had made himself into a kind of diary ambassador, testifying to the value that diary-writing has added to his life and advocating that everyone else should take up the habit too. Here he is on his blog, in a video about how to start writing a diary. What a sweetheart. If I were not already smitten with Mr. Palin for all the years of Monty Python humor, I would be really sunk now. The Guardian (which published the article by Palin) invited readers inspired by the story, to upload pictures of their diaries: a crowd-sourced mini-history of the diary. Thank you,The Guardian, for your strange and reckless devotion to covering the diary beat. studies-influenced academic field. Yet, as a result, it’s not an unfamiliar experience for me to witness an uptick in interest in the diary just as I turn to writing about the diary. In fact, when I read about Julavits’ and Manguso’s books, it felt like something of a confirmation: diaries are still relevant! I was very excited to read these books and thought perhaps I would end up assigning one or both in my classes on diaries in the upcoming semester. I read both books early this summer and I suppose it’s evidence of my thinking about them that I have not taken the time to review them until now. Because, I must confess, that my response to both books was disappointment. Granted, I read them as diaries and within the context of the historic diary-keeping tradition that I have been researching and writing about all summer — and perhaps that places an unfair burden on the books. But, as diaries, or as commentary on the diary as a genre, I felt they both fell flat. 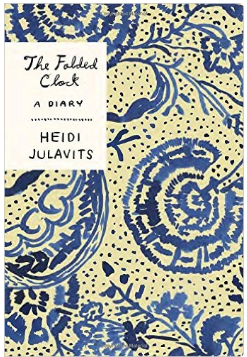 Julavits’ The Folded Clock: A Diary is composed of non-sequential diary entries, each one opening with the phrase “Today I.” Julavits’ writing voice is engaging but often possesses the snarky tone all-too-familiar on social media; in fact, at times, I felt like I was reading a blog post between the cover of a book — and I did not like it. I read books to get away from that quasi-self-deprecating, ironic, critical-observer stance which is so predominant now on social media. I read diaries because they typically employ a more earnest, unironic voice — which is not to say either a more authentic or a more artless voice, because I am well aware that neither term can be easily applied to the diary. But, the diary writing that I prefer, that speaks to me as a reader and a scholar, avoids that brittle separation of the author from the world observed. • Julavits’ use of the “Today I” phrase to initiate her entries is a practice I’ve seen many diarists use. Not that phrase in particular, but a certain formula that is repeated at the start of every entry. 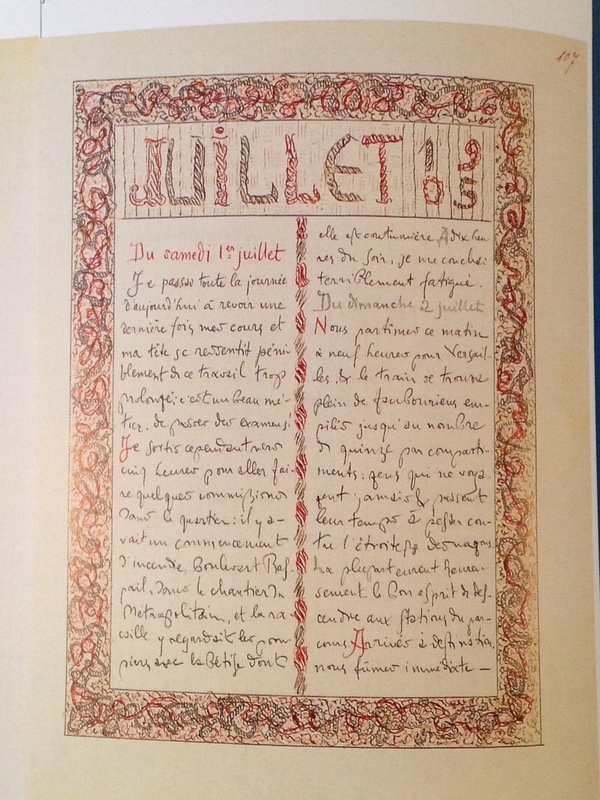 Philippe Lejeune argues that the dated heading is the definitive feature of a diary entry, writing that “setting the date off at the top of the page to indicate the time of writing is a crucial gesture” (80). But, other formulaic prompts play an equally important role, in my observation. Of course, the most common initiating formula I’ve seen across diaries is a summary of the weather, which doesn’t possess much literary interest but clearly does important textual work. 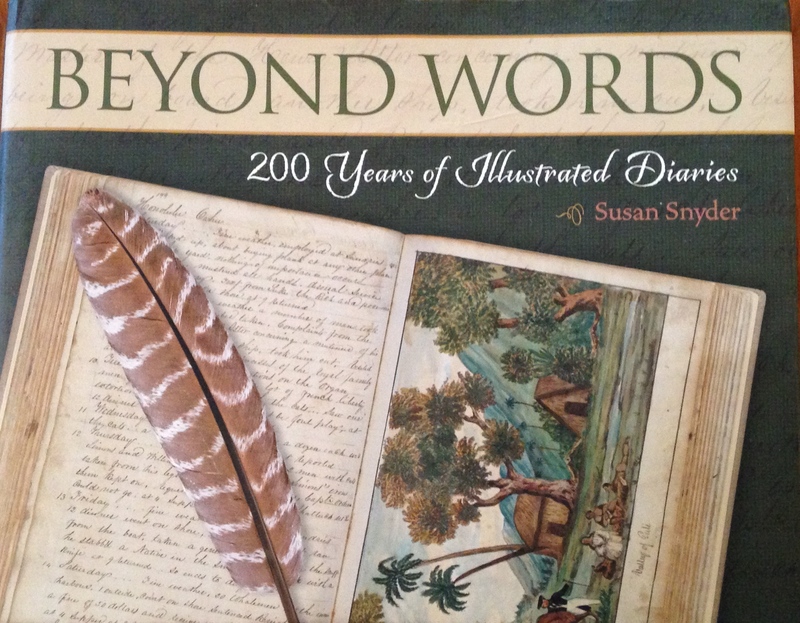 I recently read a wonderful nineteenth-century diary in which the author employs a series of prompts, using the same phrase for a while before switching to a new one; hers include “Into …” and “In which ….” One of the most famous diary formulas does not initiate but rather closes a diary entry: Pepy’s “And so to bed.” At any rate, Julavits’ practice places her squarely within the diary tradition. I also found it somewhat infectious; while reading Julavits’ diary, I began writing “Today I” at the start of my own diary entries and I must admit, as far as writing prompts go, it’s a generative one. 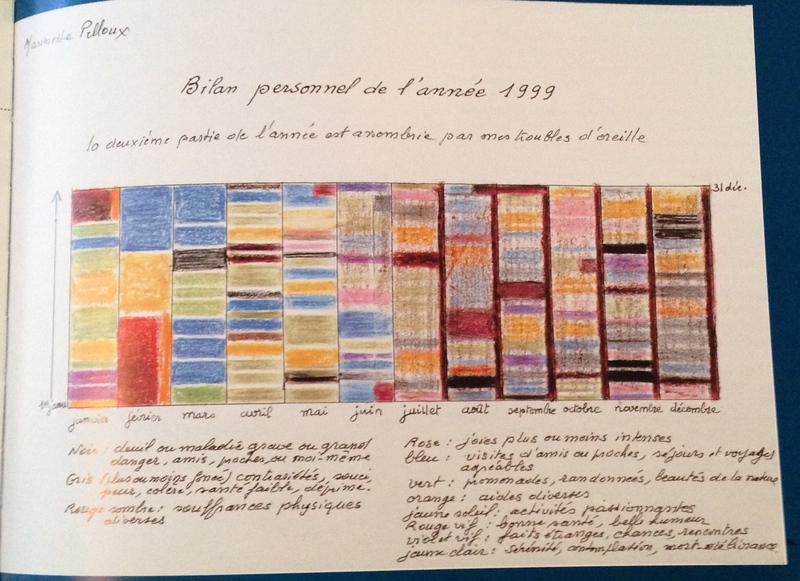 • Julavits’ choice to sequence her diary entries in a non-chronological fashion was a smart one. She places an immediate block against the reader’s desire to locate a linear narrative within the diary. This is a problem that many readers of diaries encounter: we long to impose a plot structure on the diary, to identify the “important moments,” to find evidence of foreshadowing, etc. — precisely the kinds of literary techniques that are impossible within the diurnal literary form. Jennifer Sinor writes of the impulse to add order where there is none: “the pull of autobiography to be a whole and interesting story is strong” (54). But Julavits prevents such an organizing imperative by simply removing the linear calendar as a structuring device. • Despite the fact that the diary does not move from point A to point B in a linear way, Julavits runs up against the problem that many print diaries have: the problem of the ending. 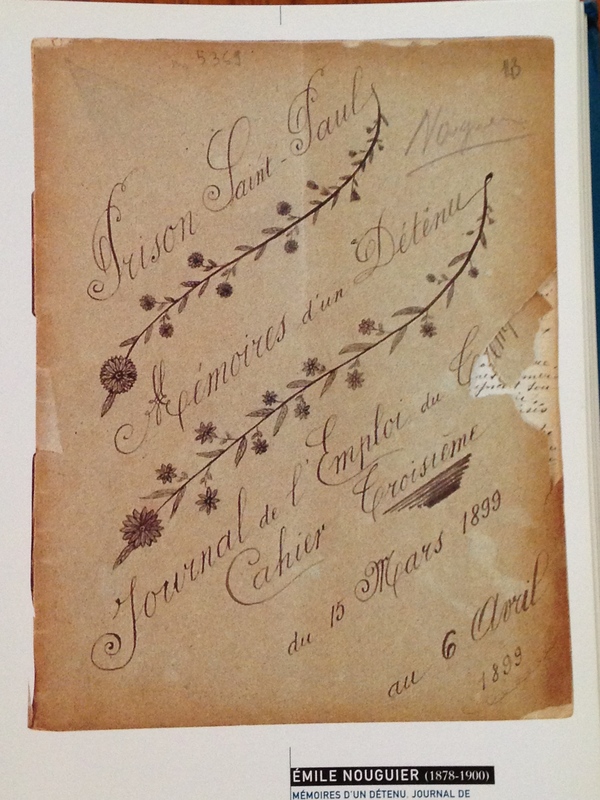 To quote Lejeune again, he claims that “the diary is experienced as writing without end” (188). Diaries don’t have an end point — they cannot have a climax + denouement structure unless one is imposed retrospectively (at which point it is not a diary anymore). 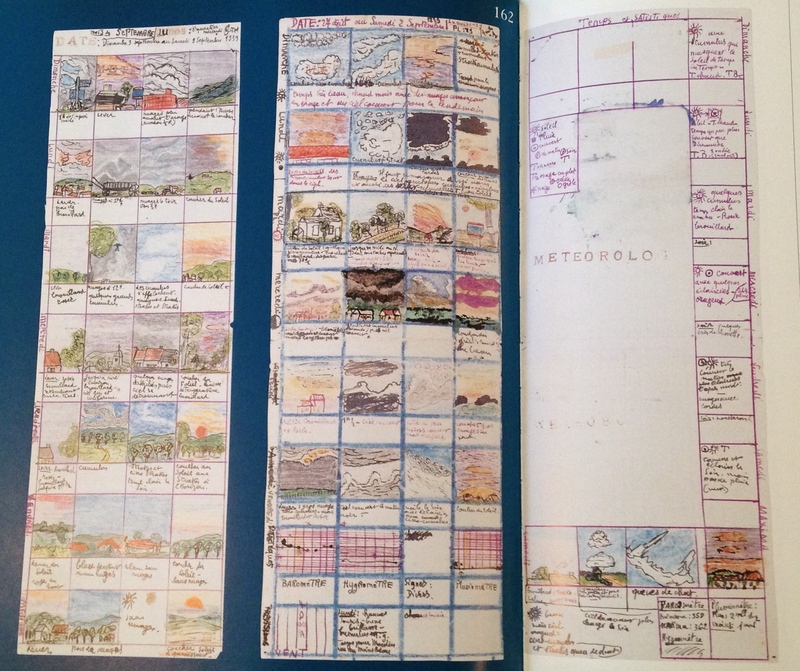 So, if you are Heidi Julavits and you are transforming your personal diary into an essayistic memoir without a chronological structure, where do you end? There is no end, there is only a choice to conclude the text. And, yes, as a result, the ending of The Folded Clock is flat and unsatisfying. It’s entirely authentic as a point of closure to a diary text but it doesn’t make for a particularly enjoyable read. 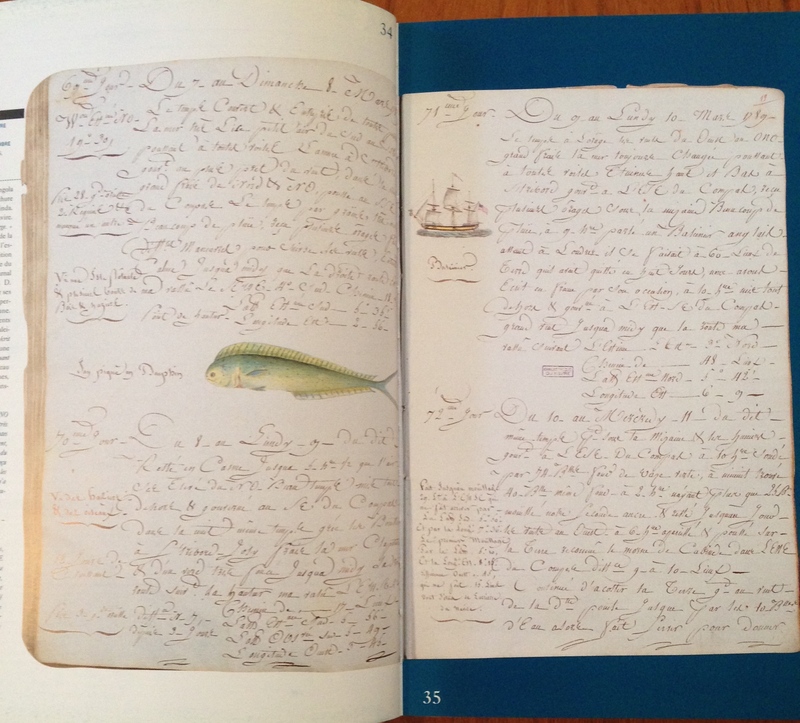 It will be clear that while I am not wild for Julavits’ book, it did generate some reflection on the diary. I cannot say the same for Manguso’s Ongoingness. 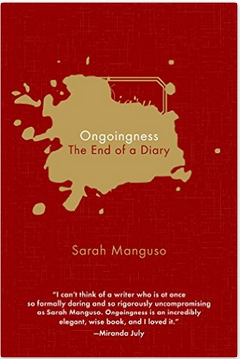 Manguso’s Ongoingness is built around the premise that Manguso has an obsessive need to record every moment of her life in her diary, a need that becomes burdensome and one she frees herself from by having a baby and being too exhausted to continue her daily diary practice. But, Ongoingness represents both the problem and the solution in ways I found very disappointing. We are told about Manguso’s excessive diary-keeping, which raises expectations (or raised mine) about length, verbiosity, detail, etc. — basically, that the text would be excessive. 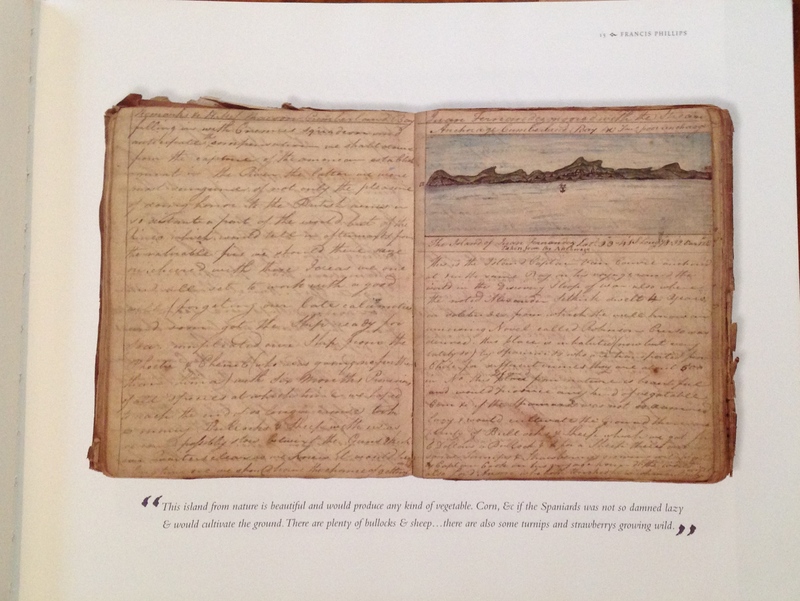 In the press coverage of the book, the fact that her diary is almost a million words long is repeatedly highlighted. 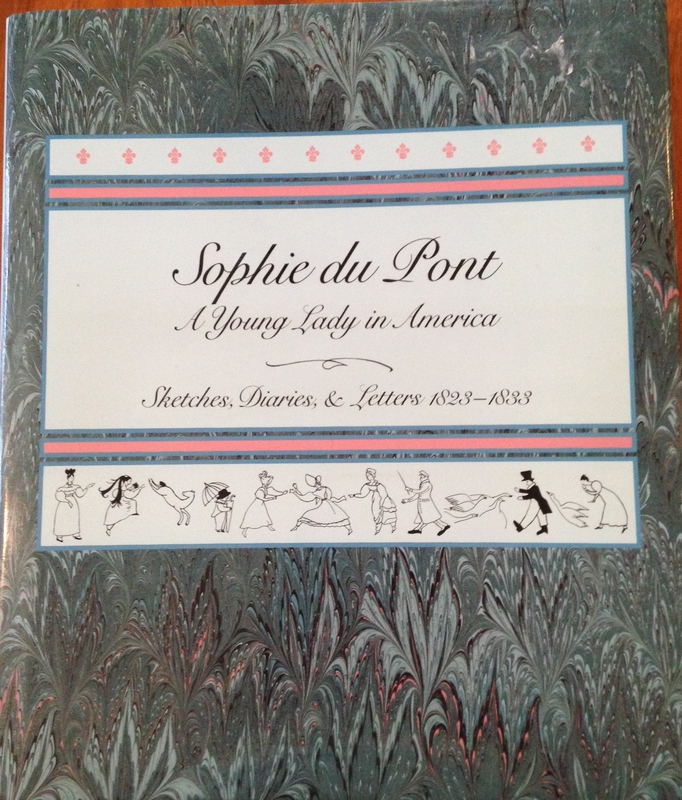 By contrast, Ongoingness is very spare: the book is short, the entries are brief, there is copious white space on each page, she provides little by way of detail about her life or experiences. There is a fundamental gap between the declared character of Manguso’s diary and what readers gain a glimpse of within Ongoingness, and that makes it hard to take seriously the problem she struggles with. The idea that Manguso is cured of her graphomania by having a baby may be true of her experience but it resonates in unfortunate ways with the critical dismissal of the diary as a genre and women’s diary-writing in particular. Too many view the diary as a trivial occupation and far too many scholars and critics have judged women’s diaries as exemplifying the triviality of the genre because they write about gendered activities and concerns. Manguso doesn’t do this and her (published) diary is replete with gendered activities and concerns but somehow the positioning of diary against baby runs close to suggesting that when she had a baby, she suddenly had something really important to do, as compared to the silly activity of writing her diary. Before the baby was born, the diary allowed me to continue existing. It literally constituted me. If I didn’t write it, I wasn’t anything, but then the baby became a little boy who needed me more than I needed to write the diary. He needed me more than I needed to write about him. So the baby vs. diary battle is won by the baby, which makes perfect sense (of course she takes care of the baby instead of writing her diary!) but works to re-inscribe the diary as a meaningless, self-indulgent activity that distracts one (and particularly women) from truly valuable work. With “truly valuable work” taking only one form: child-rearing. For these reasons, I found Manguso’s text disappointing as a commentary on the diary and troubling as a commentary on women’s labor. What does it mean that in 2015 two talented female authors produced memoirs that are principally interested in and initiated by the diary? What does it mean that the books received a substantial amount of coverage by critics in the most influential periodicals? One response is to say that these books prove that the diary remains a viable genre, even in the era of social media. Equally, their reception may indicate a nostalgia for the genre as a corrective to the kinds of discourse that thrive on social media. Or simply a lingering curiosity about other people’s diaries, even when we have access to a tsunami of self-disclosing writing on social media; almost every review of the books compares them to social media forms, employing the term “oversharing” in a pejorative way. I am not sure precisely what aspect of the cultural zeitgeist these books and my own current interest in the diary indicates. But, if you are interested in diaries, I think you are better served by reading any number of other diaries, including those listed on the digitized diary page of this blog. 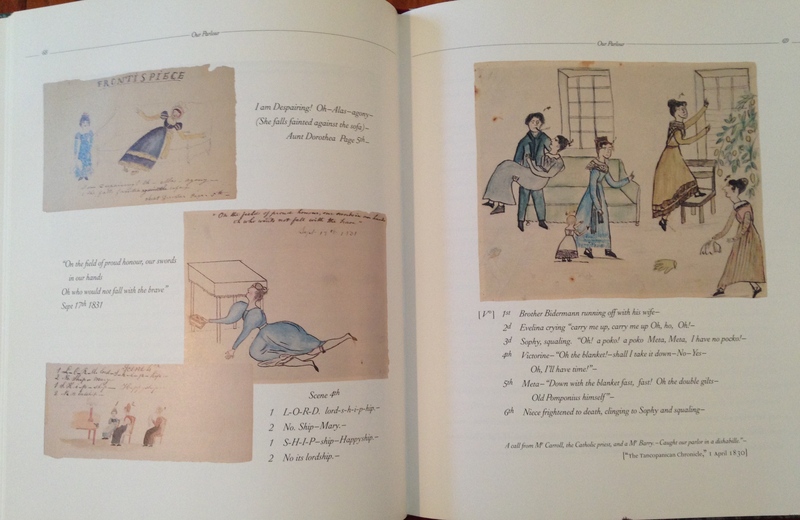 As far as published diaries go, two of my favorites are: Elizabeth Drinker’s diary and Rachel Van Dyke’s diary. I would send any reader to these historical texts over the more recent ones, about which I remain dubious. 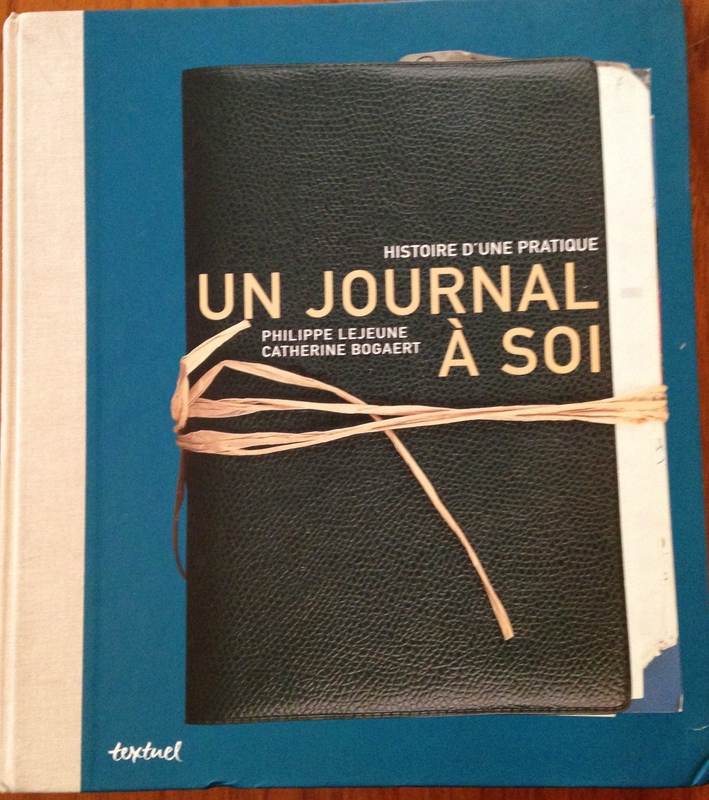 Philippe Lejeune, “On Today’s Date” and “How do diaries end?” in On Diary (U Hawaii P, 2009). Are diaries art? 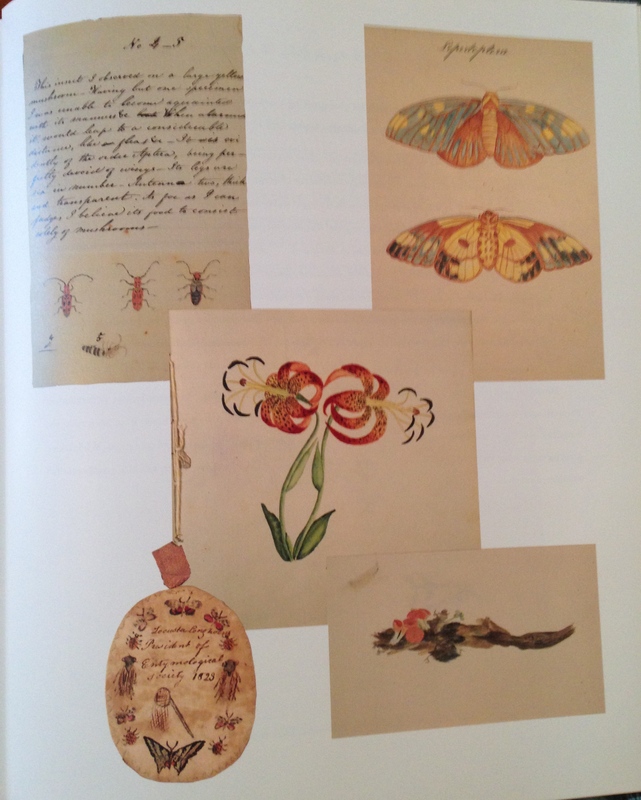 Each of these books treats the material object of the diary as a form of visual art. Each other room’s dear personality. And wheresoe’er I look is hideous change. The dust’s grey fingers like a shielded light. The things that withered, — and you came not back! Had let us love, — and show the world the way! When love-crossed-out will bring the answer right! Summer? ‘Tis summer still by the calendar! That I could move, — and you be stiff and still! That I could speak, — and you perforce be dumb! To life, — a ship whose star has guttered out? — What do I say? I am but flesh and blood and I must sleep.